From Whence Comes Poor Marketing? Last year I worked with an interesting K12 educational development company called Teq. For a brand planner it provided a perfect storm of stimulating elements: a business with a changing model, tons of humanity (tools to teach children), inner city color, political sturm und drang, and pent-up market demand. Oh, and the market could be measured in billions not millions. 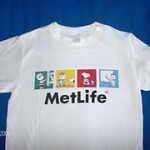 In addition to developing a brand plan and marketing communications plan I had my eye on creating a social media dept. – something I’ve long blogged about. Before I landed at Teq I found a dude on the company site named Jeremy Stiffler. He was one of the reasons I really liked the Teq, site unseen. Every company needs a Jeremy Stiffler. He was a SME (subject matter expert), who without breaking a sweat could be recorded on video and teach the products and services. Part actor, part teacher, part digital usability savant, Jeremy could look the camera in the eye and walk you through a product or topic tutorial (tute) with flawless effectiveness. Good teachers know when a student doesn’t get something by looking at their expression. Jeremy, intuitively knew it, even from behind the camera. Social media departments need a good writer, videographer, editor and still photographer. Obviously, they all need to be orchestrated at the hands of a brand manager and plan. But the best departments in their respective business will always have a full or part time Jeremy. Not a pretty on-camera face or rented talent, an illuminating teaching presence who works for the company and gets people. Peace. There are few things harder to sell than education. I’ve done some brand planning for universities and the academicians who approve the work are often not equipped for the job. The budgets are also low so good agencies are rarely around and in many cases students, professors and recent grads in-house are at the controls. Brand strategy is non-existent and everyone promises the same thing: a good life after graduation. The end benefit. The how to that end benefit is also pretty much the same: great faculty, personal teaching environment, great courses, flah, flah, flah. It’s ironic that college and university advertising is so poor because often the experience is one of life’s most powerful. That 4 years has the ability to create a loyalty few jobs can. 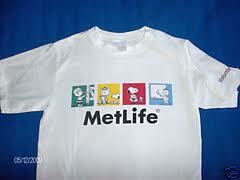 Who sleeps in their Met Life tee-shirt 20 years after working there? Two husbands later. Web-enabled academia is not the haps yet – not like geolocating your friends at Mary Carrol’s – but it’s coming. And along with that, in time, will come improvements in the branding of higher education institutions. These times are exciting. Stay tuned. Peace! I’ve been thinking a lot lately about the state of education in America and how it can be improved. In brand planning there is research and there is insight. One is a technique, the other a result. In academia there is teaching – a technique, and education the result. Too great a percentage of those in academia are teachers, not educators. One of my favorite “insights,” mined on behalf of an entertainment property was “a musician is never more in touch with his/her art than when looking into the eyes of the audience.” Immediate feedback is available in the eyes…in the bop. In class, those with the ability to connect with students, to get through – who can see the light in the eyes of students—they are the educators. In all we do, let’s not confuse the technique with the result. Peace!